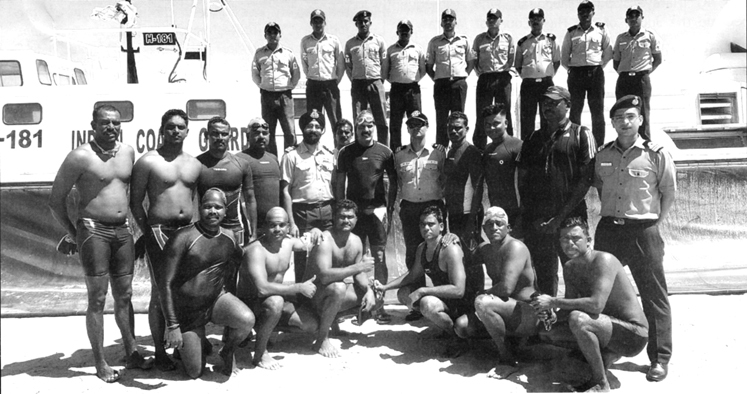 Additional Director General of Police, Railways, Dr. C. Sylendra Babu, and his ten-man team swam the Palk Strait between Talaimannar and Arichalmunai in Danushkodi. This was a couple of days after head constable M. Tulasi Chaithanya of the Andhra Police had crossed the Strait in 8 hours and 25 minutes and set a new record. The ADGP and his team, swimmers from the Tamil Nadu police, swam the 28.5 km long stretch from Oormalai near Talaimannar in 12 hours and 14 minutes. “Many individuals have achieved the feat but we are the first to swim the Palk Strait as a team,” the 57-year old ADGP said. He had been swimming with the team members for the past six years. Ten swimmers swam with him from Oormalai up to the IMBL (the international border) and five from the IMBL.